A recent change in Iowa’s tax code spared Mark Chelgren’s machine shop, welding company and wheelchair-parts plant from paying sales tax when buying certain supplies such as saws and cutting fluid. The change passed by the state Legislature last year wasn’t just good for Chelgren’s businesses. It was brought about in part by Chelgren himself. The Iowa state senator championed the tax break for manufacturing purchases as part of his work at the Statehouse in Des Moines. Chelgren, R-Ottumwa, isn’t the only state lawmaker doing his outside interests a favor. A North Dakota legislator was instrumental in approving millions of dollars for colleges that also are customers of his insurance business. A Nevada senator cast multiple votes that benefited clients of the lobbying firm where he works. Two Hawaii lawmakers involved with the condominium industry sponsored and voted for legislation smoothing the legal speed bumps their companies navigate. And the list goes on. The news organizations found numerous examples in which lawmakers’ votes had the effect of promoting their private interests. Even then, the votes did not necessarily represent a conflict of interest as defined by the state. That’s because legislatures set their own rules for when lawmakers should recuse themselves. In some states, lawmakers are required to vote despite any ethical dilemmas. Many lawmakers defend even the votes that benefit their businesses or industries, saying they bring important expertise to the debate. “We have way too many people who have been in government their whole lives and don’t know how to make sure that a payroll is met,” the Republican said. He said the tax change had only a negligible effect on his business, saving it a few hundred dollars a year. 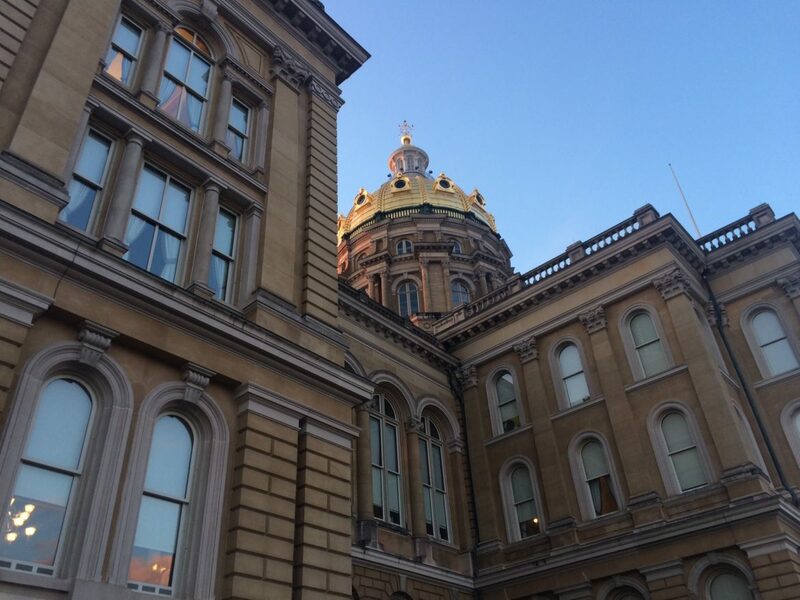 Iowa Senate rules say lawmakers should consider stepping aside when they have conflicts if their participation would erode public confidence in the Legislature. That’s a step one local official said Chelgren should have taken, especially since the tax change costs the state tens of millions a year in revenue. There’s no shortage of support for the “citizen legislature” concept that operates in most statehouses — that lawmakers should not be professional politicians, but instead ordinary citizens with day jobs. The idea is that those lawmakers can better relate to the concerns of their constituents and bring real-world experience to making policy. To assess lawmakers’ outside employment, the Center for Public Integrity analyzed disclosure reports from 6,933 lawmakers holding office in 2015 from the 47 states that required them. Most legislators reported outside work except in California and New York, where the office is considered full-time and pays relatively high salaries — $104,118 and $79,500 per year, respectively. The financial information lawmakers disclose about outside work varies widely from state to state. In Illinois, the disclosure forms are derisively labeled “none sheets” for the answer that invariably follows most questions about economic interests and potential conflicts. Idaho, Michigan and Vermont do not require lawmakers to disclose their financial interests. Vermont passed a law this year to do so starting in 2018. Pennsylvania lawmakers who believe they may have a conflict of interest are required to ask their chamber’s presiding officer whether they should vote. In 30 instances in the Senate over a recent three-year period, every inquiry received the green light. One senator was approved to vote for his own mother’s nomination to a public board. Two states, Utah and Oregon, require lawmakers to vote even if they have a conflict. California lawmakers can vote on legislation even after declaring a conflict of interest if they believe their votes are “fair and objective.” Many legislators say frequent abstentions would keep their chambers from working properly. And last year, while his firm, McDonald Carano, was lobbying on behalf of the Oakland Raiders, Kieckhefer voted to approve $750 million in taxes to help build a stadium that would serve as the team’s new home in Las Vegas. Kieckhefer, a former Associated Press reporter, said a firewall divides his firm’s lobbying from its legal work, the division where he works. He defended Nevada’s citizen legislature, which meets every other year and pays lawmakers $288.29 for every day of the session. “I’m not reliant on support from lobbyists or special interests to keep the job I have to support my family,” he said. Maryland passed ethics reforms this year after the House of Delegates unanimously reprimanded Democratic Del. Dan Morhaim for acting “contrary to the principles” of Maryland’s ethical standards by not disclosing his work as a paid consultant for a marijuana company while he was working on marijuana policy. Other lawmakers have used public office to polish their day-job credentials. Rhode Island Sen. Stephen Archambault, a Democrat, has advertised his legislative work as a reason to hire him as a defense attorney in drunken driving cases: “Archambault literally wrote this law, and knows exactly what to do to succeed for you,” his law office website read until contacted by a reporter this fall. He did not return requests for comment. In North Dakota, state Rep. Jim Kasper sponsored bills over the past decade that have provided millions in extra funding to the state’s five tribal colleges, whose operations are usually funded by the federal government. Lawmakers don’t always choose to cast votes that benefit their private interests. West Virginia Senate President Mitch Carmichael, a Republican, voted for a bill this year to expand broadband internet competition that his company, Frontier Communications, lobbied against. Within days, Frontier fired him, though it denies it was because of his vote. Spokesman Andy Malinoski said in an email that “market and economic conditions” led the company to eliminate several positions, including Carmichael’s. Contributors include David Jordan and Joe Yerardi of the Center for Public Integrity; and Associated Press reporters James MacPherson in Bismarck, North Dakota, Audrey McAvoy in Honolulu, John O’Connor in Springfield, Illinois, Mark Scolforo in Harrisburg, Pennsylvania, Scott Sonner in Reno, Nevada, and Brian Witte in Annapolis, Maryland. To read the original report at the Center for Public Integrity go to this link.